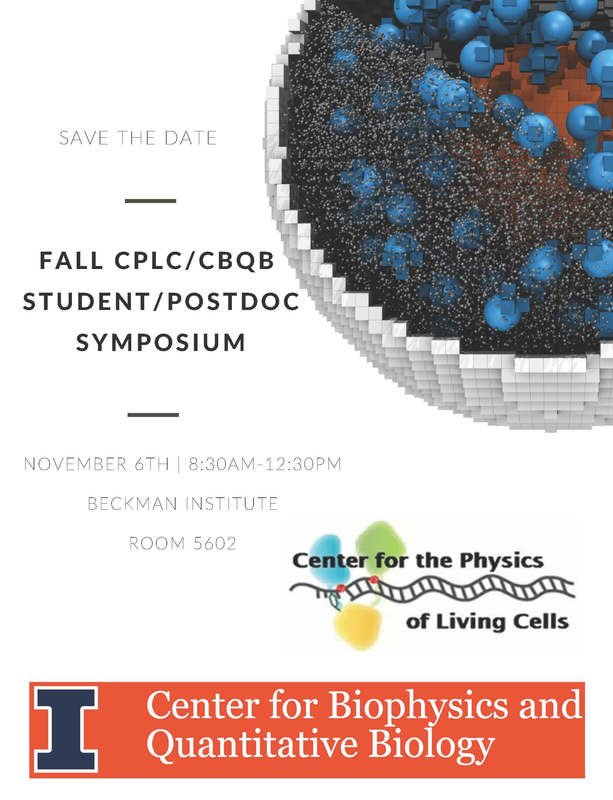 Please plan to attend the biannual CPLC/CBQB Graduate Student/Postdoc Symposium on Tuesday, November 6th, from 8:30am-12:30pm. The event will begin with a coffee/breakfast and end with a Jimmy Johns lunch for participants. Recognition will be given to the "best talks" as voted by the audience. More information and the schedule of talks will be available soon. In the mean time, direct any questions to the organizers, Angela Barragan, abarrag2@illinois.edu, Andres Arango, aarango2@illinois.edu, and Yongjae Lee, yongjae2@illinois.edu.